ACTIVITIES: Our activities consist of a monthly photography competition, workshops, photo trips, member shows, guest speakers, and the annual awards banquet. PHOTO TRIPS: Our photo trips have taken us almost everywhere in New England, including visits to Rockport, Providence, Boston, Salem, and the Maine Coast. These photo trips are where members really get to know each other. The camaraderie is great and there is always a stop for lunch or dinner at a local restaurant before returning home. Most are day trips, some are overnights (generally in the New England area). Use the "Find Us" menu entry for mapping directions to our meeting place. DUES: Annual dues are $40 per person, $60 per family, $20 for a student. 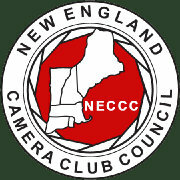 Paid-up membership is required for entering photos into the competitions. STUDIO LIGHTS: Members may use the club's studio lighting equipment for a nominal fee. COMPETITIONS: Our monthly slide competition consists of digital slides in four categories: Pictorial, Nature, Digital Technique, and Assigned Subjects. The print competition consists of: black & white, color, and Creative prints. NOTE: The annual fees have gone up slightly since this document was created.